If you’re looking to stay abreast of police activity in your area, you’ll need a police scanner. But not all police scanners are created equal. Some scanners aren’t suitable for use in the car, whereas others only address a narrow part of the spectrum. In this article, we’ll review a few of the best police scanners on the market so that you’ll know which will keep you up to date and which will leave you in the lurch when you need to know what the police are doing. What Information Can I Get From A Scanner? What Are The Limitations Of Most Scanners? How Long Can I Expect My Scanner To Work? There are a few attributes of police scanners which you will need to look for when making a purchasing decision. In this section, we’ll explain why you need each of these features. First, the scanner should have a great instruction set. No scanner’s user interface is perfect, and having an explanation for each of the scanner’s features is necessary. Many scanners have confusing user interfaces. Especially if you are new to listening in on the electromagnetic spectrum, you’ll need a guide which explains what to listen for and where. Without one, you might be stuck with a useless piece of electronics which only spouts static. Second, the scanner should come with a good mounting mechanism. If your scanner is going to be used in the car, you might consider the ability of the scanner to install into your central dash as part of the mounting features. Other scanners can sit comfortably while attached to your rear-view mirror. The reception of the scanner shouldn’t vary with where the scanner is placed in your car, so the most important thing is keeping it accessible and visible to you. Finally, good police scanners offer you access to a the entire spectrum used for public safety communications. These scanners are typically a bit more complicated to use, but there’s also a smaller chance of missing a critical transmission because it’s outside of a narrow range. These channels typically include those used for EMS, fire department, and the Coast Guard. More advanced models may include weather channels, storm alert channels, and civil air patrol channels. For most people, these extra channels are extraneous. If you’re curious about integrated operations of the police across different modalities, these extra channels can be a blessing, however. Below, we’ve reviewed the top available police scanners. Let’s get started! 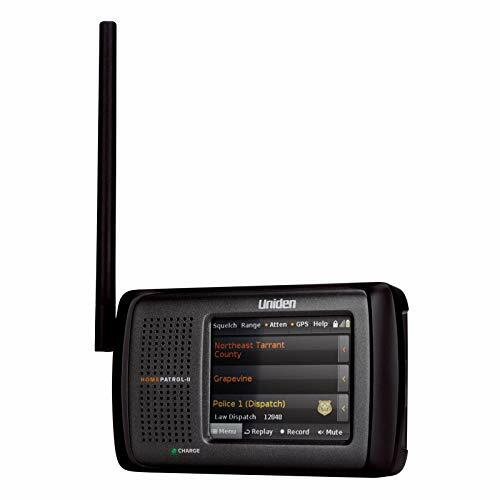 The Uniden 800 MHz 300-Channel Base Mobile Scanner is a functional police scanner which also provides access to the aircraft, weather, and nautical radio bands. With this scanner, you’ll sacrifice a little bit of ease of use for a superior range. The Base Mobile Scanner has a backlit display, pre-programmed frequencies for common frequencies, and access to a wide part of the spectrum. This makes it ideal for people who need to pay attention to things like weather alerts while also tracking ship activity or police activity. 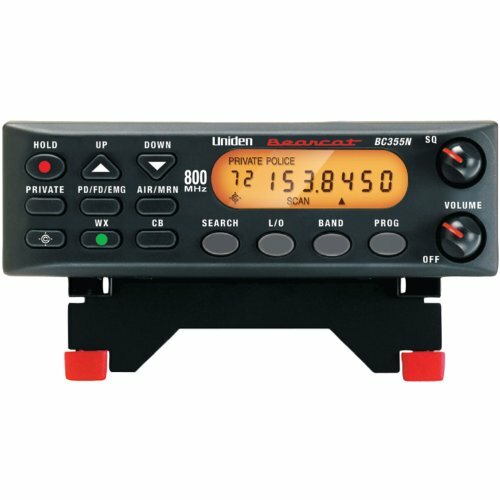 No matter where you are in the sea, air, or land, this scanner will keep you up to date about the people using a shortwave radio in the area. For extreme environments, these features are even more important than normal. In city environments, this scanner is effective. Like others, its range suffers when surrounded by sources of interference. The scanner’s user interface is acceptable. The pre-programmed channels each have a button, which makes it easy to use if the forces in the area use the standard channels. The Uniden BearTracker Mobile Tracking Scanner with GPS Support is an advanced and complicated scanner receiver. With this scanner, you’ll unlock the full power of the electromagnetic spectrum. Few transmissions will be beyond your ears. The BearTracker has an extensive user interface which lets you dial in the channels you want. You can also program favorites for easy access. The standard police, fire, maritime, and EMS channels have buttons on the interface, which is a nice touch. Overall, this scanner is one of the more difficult scanners to use despite being one of the most powerful. The band coverage of this scanner ranges from 25 MHz to 1.3GHz, sensibly excluding the UHF TV and cellular bandwidths. No matter where you go, you can check the signal. Military signals and alternative police channels will be at your disposal, provided that you can locate them while channel surfing. If you’re a hobbyist or an enthusiast, it’s hard to ask for a better scanner. While the unit is intended for use in your car, it’s also a great desktop scanner. Like others, the mounting system on this scanner leaves a lot to be desired, however. The Uniden HomePatrol II TouchScreen Digital Scanner APCO P25 Phase 1 and 2 is a simple yet effective police scanner which is easy to use and mount in your car. Unlike other scanners, this little scanner has a touchscreen interface. This Uniden scanner has a fairly extensive library of presets. You’ll be able to hear the police across several of their more popular frequencies without much effort. The scanner’s channel location feature is also very effective, so you can discover new channels easily. Most other scanners require you to hear the transmission in real time, or you will miss it. This scanner offers a recording and playback functionality, however. You won’t need to babysit your scanner. Finally, this scanner has a great car mounting system, unlike most others. This scanner can be popped into your car and then popped out later with equal ease. 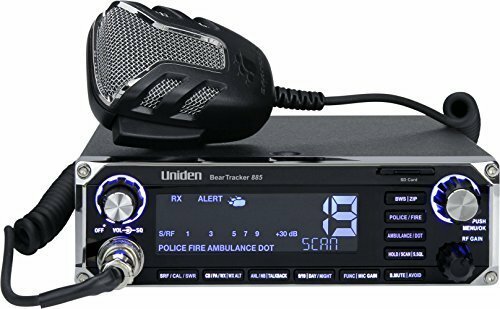 The Uniden BC75XLT: Public Safety Scanner, Racing Scanner with 300 Channels is a car-friendly scanner is a DIY solution which puts the power in the hands of the user. For people looking for a scanner that can also be used in a recreational capacity, this scanner is hard to beat. The BC75XLT doesn’t have any pre-programmed channels, so you’ll need to lookup your local department frequencies before you can listen to the police. The scanner can store up to 300 different channels despite having access to thousands more, so you won’t need to worry about taking up all your memory. While very portable, the scanner lacks any kind of built-in mounting system for your car, so you’ll need to purchase one. Unlike other handheld scanners, this scanner is a bit less sensitive to local terrain and interference surfaces, so it’s perfect for moving while in the car. This scanner isn’t the easiest to use, but its extensive usage history shows it to be very durable and effective. The Whistler WS1040 Handheld Digital Scanner Radio is deceptively effective as a car-mounted police scanner system. With the help of the system’s simple but effective mounting, you can attach it to your car and have a broad range of options wherever you go. This scanner is targeted towards hobbyists who would like to access every part of the spectrum and more. For those who like electronics, this scanner offers advanced customizability functionalities like memory bank allotment. For those who don’t care about the technical aspect of their police scanner, there are also a few sensible pre-programmed features that work without a hassle. Many of the pre-programmed channels include weather related information, so for someone who is interested in both police activity and weather activity this might be a good choice. 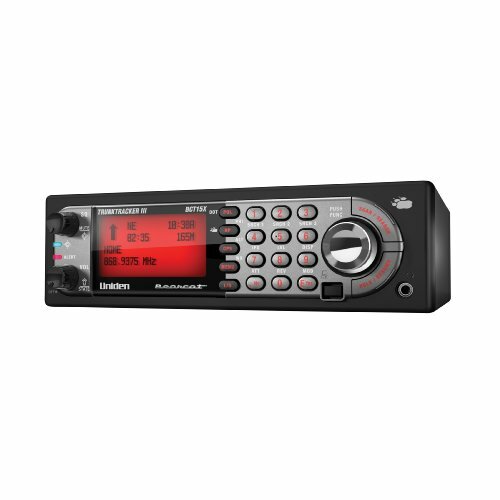 The BearTracker 885 Hybrid CB Radio/Digital Scanner with BearTracker Warning System is a snappy-looking police scanner which integrates with your car’s GPS system. 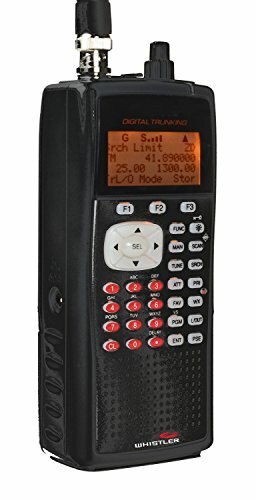 This scanner is also suitable for outgoing communications, making it unique among the scanners which we’ve reviewed here. The BearTracker scanner is great for keeping track of multiple groups at a time. For instance, if you were trying to figure out whether your trucker friends were delayed by police activity, you can easily observe both the common trucker frequencies and the police frequencies in alternation. You might also be able to communicate to your trucker friends to warn them of ongoing police activity in their area. With the help of this scanner’s GPS integration, the possibilities are nearly endless. The only issue is that you’ll need to know what you’re doing. The scanner’s documentation is lackluster, and its user interface is complicated by the fact that it provisions for outgoing communications. Yes, police scanners are legal in the US. In other countries, the scanners may not be legal, but it is unlikely that anyone would know that you were using a scanner. As a rule of thumb, if the police do not want you to know a piece of information, they will use an encrypted channel. You won’t be able to listen to these channels on the scanner, so don’t worry about hearing anything you’re not supposed to be hearing. Police scanners give you access to police radio bands. On these bands, police discuss deployments, officer positioning, operations in progress, and other information. Keeping track of this information is useful if you want to evade police or if you are curious as to whether the police are responding to an event which you observed. You probably won’t be able to detect any personal information of police officers based on the scanners, however. Scanners tend to be limited by the strength of the signal of the police band broadcasts. You may be able to catch the occasional transmission from a nearby town. On the whole, you should expect your scanner to only pick up transmissions that are within a few miles of where you are. If you are in mountainous areas or in areas with a lot of buildings, your scanner will have more limited range than usual. Bad weather or atmospheric phenomena will also degrade the quality of transmission and playback. Furthermore, your scanner may not be able to pick up many parts of the spectrum aside from the public safety bands. This means that you will not be able to pick up the bands used by the military or the military police. The answer is that it depends on the scanner you pick. The majority of scanners offer the ability to check different parts of the spectrum, however. Using the scanner to listen to the police transmissions is thus a process of finding the part of the spectrum which they are using to communicate. In the US, most police use the same channels for transmission. Elsewhere in the world, they may use different parts of the spectrum. Scanners are merely radio receivers. They don’t have any moving parts. The buttons and dials on the scanners are seldom built sturdily, however they are also seldom put through rigorous stress. If you are careful with your police scanner, it will probably last decades. Leaving your scanner in a spot where it can get hit directly by the sun in your car may reduce its lifetime if temperatures become extreme.